Timber Ridge folding and portable chair TRLW001BE-1 will be your best choice for any outdoor and indoor activities. With only 2lbs weight stable aluminum structure and light durable polyester fabric and carry bag provide freely makes it more portable to carry out for some patio activities and can supports up to 300lbs weight capacity. 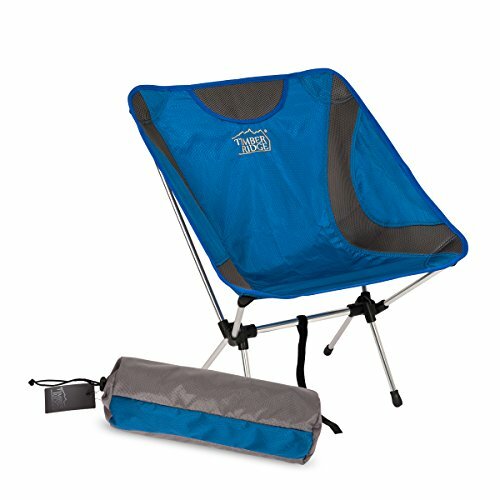 Fold this chair in the carry bag in seconds with it detachable design provides a real time and space saver. High quality durable and breathable mesh polyester,provide you a perfect relaxation experience when seat for a long time .TRLW001BE-1 can meet all your comfort needs wherever you are. Timber Ridge TRLWZF001BE-1 is a necessity in your outdoor activities such as beach, park, picnic, fishing, hiking, or camping and so on. About Timber Ridge: Timber Ridge is a professional outdoor brand which devotes to provide best outdoor experience for customers. Our products cover different fields on outdoor activities including bags, tents, wagons etc. All the products are subject to multiple strict quality tests on different extreme environments before entering market. We have reasons to believe our quality products will meet all the needs on outdoor activities.